[T]here can be no question that the right to personal liberty is among the most fundamental of all common law rights. It is also among the most fundamental of the universally recognised human rights. Fifty-one refugees -- including 4 children -- petitioned the UN in 2011, 2012 and 2016 to protest their being detained indefinitely for undisclosed reasons. These are people who cannot return home due to the dangers they face there. But despite accepting their refugee claims, Australia continued to detain them due to secret claims made against them by Australia's spy agency ASIO. They were not told the grounds for their detention and so could not challenge the accusations against them. 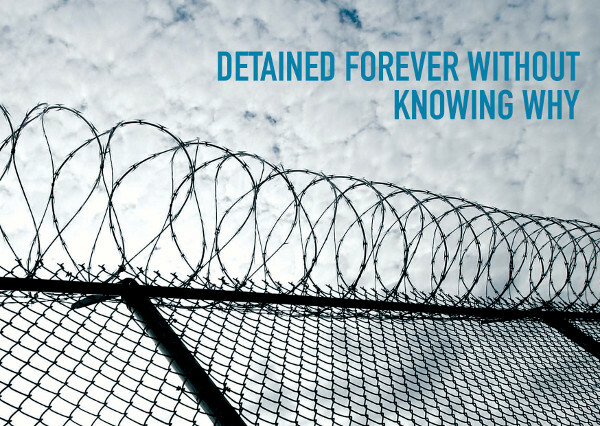 After years in detention, these people have suffered "serious, irreversible psychological harm" -- according to the UN. Remedy Australia supporters joined in protest at this injustice and suffering and 49 of the detainees are reported to have been released. Thank you to everyone who supported these men, women and children. But 2 of the men remain: Mr K.S. and Mr K.T., subjected to arbitrary, indefinite detention since 2009 in conditions that breach ICCPR article 7, the prohibition on cruel, inhuman or degrading treatment. Both men have attempted suicide. This cannot be allowed to continue. The UN Human Rights Committee says Mr K.S. and Mr K.T. must be released, rehabilitated and compensated for gross breaches of their human rights. Please send this letter below. Read more about the FKAG et al, MMM et al and FJ et al cases.